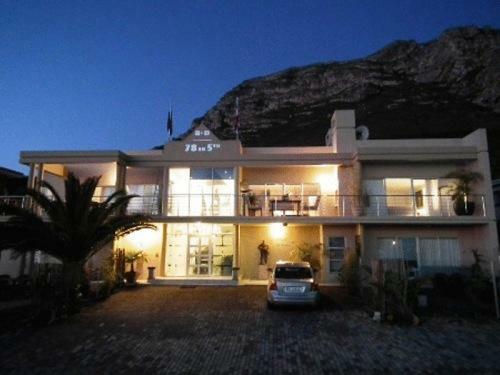 ﻿ 78 On 5th in Hermanus Bed and Breakfast Hermanus. JIMAT di Agoda.com! 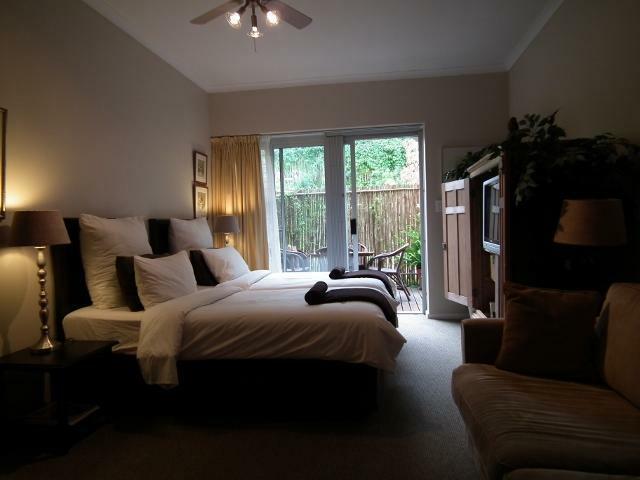 Ada soalan mengenai 78 On 5th in Hermanus Bed and Breakfast? Terletak di tengah-tengah Voelklip, 78 On 5th in Hermanus Bed and Breakfast merupakan tempat yang sesuai untuk meneroka Hermanus. Hotel ini tidak terlalu jauh dari pusat bandar: hanya sejauh 4.0 Km, dan kebiasaanya mengambil masa kira-kira 90 minit untuk sampai di lapangan terbang. Untuk pilihan bersiar-siar dan tempat daya tarikan tempatan, pelancong tidak perlu pergi jauh dari hotel kerana ianya berdekatan dengan Muzium Pelabuhan Lama, Penjual Barang Kemas Pelabuhan Lama, Melihat Paus di Hermanus. Kemudahan dan perkhidmatan yang disediakan oleh 78 On 5th in Hermanus Bed and Breakfast memastikan penginapan yang menyenangkan bagi para tetamu. Tetamu hotel boleh menikmati kemudahan seperti simpanan bagasi, Wi-Fi di tempat awam, tempat letak kereta, bilik keluarga, kemudahan BBQ. Masuklah ke salah satu dari 5 bilik tetamu kami dan tenangkan hati anda dengan pelbagai kemudahan seperti televisyen skrin rata, bilik larangan merokok, penyaman udara, pemanas, meja yang boleh didapati di beberapa bilik terpilih. Sama ada anda peminat kecergasan atau hanya mencari cara untuk bersantai setelah seharian bekerja, anda akan dilayan oleh kemudahan rekreasi kelas tertinggi seperti padang golf (dalam jarak 3 km) , kolam renang terbuka, taman. Apabila anda mencari penginapan yang selesa dan mudah di Hermanus, ijadikan 78 On 5th in Hermanus Bed and Breakfast sebagai rumah anda seperti berada di rumah sebenar. Clean room ,very good breakfast and all round it was a very pleasant stay . Staff attentive and helpful.We would come again. We enjoyed our 2 day stay here! Fantastic breakfast, enjoyed on the balcony of the breakfast room and friendly staff! Was within walking distance from the beach. Large room with a kitchen and patio space was clean and more than adaquate. Very friendly and helpful reception. Tasty "fixed menu" breakfast was nice, but would have preferred a buffet with hot options so I could pick and choose what I wanted to eat. Very friendly staff, lots of good information. Nice and big shower. Excellent breakfast. We stayed for 3 nights and enjoyed it very much. Good value for money. My wife and I decided to start our SA travel in Hermanus, because I really wanted to go shark diving. Since it was our first trip in SA we didn't know what to exect. We rented a car at the capetown airport and drove straight there. The place was very easy to find. We were greeted nicely, check-in was easy. The B&B is not very big but it is nice and clean. The rooms are spacious and comfortable. There is parking space. Short drive to the grotto beach. Breakfast was very good. We really liked the place and it really made us feel welcome and homely. This was one of the best guest houses we stayed in along the garden Route. Nice quiet location. Good food recommendations for dinner. Lovely breakfast. Would definitely recommend. This was a great place to stay after over 3 weeks of travelling in southern Africa. The bed was very comfortable, there was a walk in shower and tea/catering facilities were available in my room. It felt safe and there was parking too. Jose the owner was very helpful and accommodating. Breakfast was served in a room upstairs with a view and was delicious. The place is only a short walk from the coast where there's a coastal path for watching the whales. This accommodation is great value for money and I would highly recommend for anyone travelling this way. it was really good and comfortable. one of the best breakfast i have ever had. We loved it so much we asked to extend our 2 nights to 3! Everyone is super friendly and only too happy to offer advice on where to go and do what they can to help even if it is an inconvenience for them! The B&B had a warm and homely feel to it. We will be back! Before you get out of your car, you know you are in for a treat by the quality of the sculpture that graces the entrance. This charming B & B is home to a fabulous modern art collection. Modern romantic touches abound here. Fabulous modern paintings, sculpture and folk art enliven every nook and cranny of this lovely B & B. Situated within walking distance of the Cliff Walk, we found the location from the madding crowd ideal. A lovely early breakfast by candlelight topped off a perfect stay! Wish we had spent more time here! We had a very pleasant stay at 78on5th and were able to combine both work and have some downtime as well. Initially we were allocated to Room 2, which felt a little dark and small (due to its layout), but on request we were gladly given Room 1, which was a lovely bright room (white painted walls and a less cluttered layout) with a great view out on to the mountain. Sleep quality was excellent - a comfortable bed and quiet nights. Breakfasts are pre-determined, so you get what you get on any given day (the menu changes each day), so if you want something different, you will need to ask the night before. Unfortunately, it's not until you read the information in your room that you are made aware of this. WiFi is available, but only in certain areas of the guest house i.e. dining/lounge and foyer areas. We could not get it in our room. It would be great if this could be made available in the rooms and balcony areas. 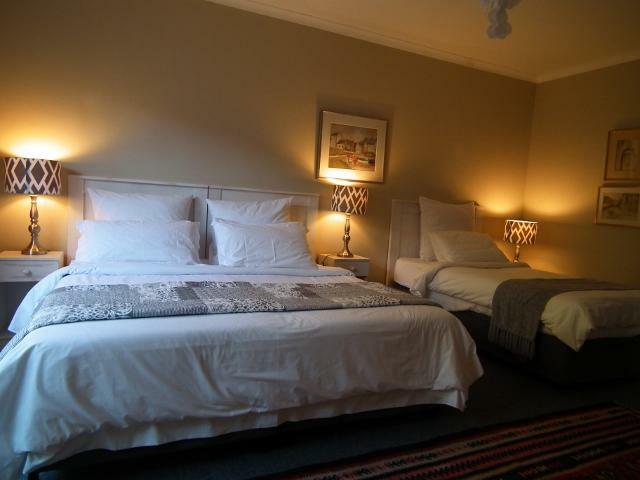 Overall, a lovely place to stay and relax with only a short drive to the main town of Hermanus and the beaches. Thought we were getting an ocean facing room with 2nd bedroom but had a 2 rear facing bedrooms instead. We were not concerned as location is nice and quiet. 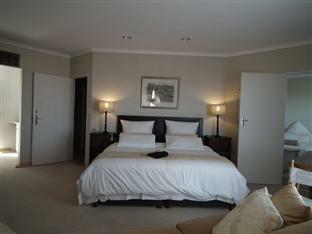 Great place to stay in Hermanus. Would go back in a heartbeat. The hotel is within walking distance of swimming beaches (15 mins) and the cliff paths for great walks. To get into town a car is needed. There is a sea view from the breakfast area but the rooms look into the nature reserve. The only downside for me was the comfort of the bed and the breakfast was plated egg dish which was not to my taste.